Android 4.0.3 to trickle out "in the weeks ahead"
On Friday, Google announced 4.0.3 as the next incremental update to hit Ice Cream Sandwich, the colloquial name for its Android 4.x platform. This update features various bug fixes, optimizations and a handful of new APIs for developers. This iterative improvement comes just after last week's news of 4.0.2 being released for the Galaxy Nexus (the International version). This is illustrative of the lag-time between Google, manufacturers and end-users as companies mull over each release to ensure compatibility with their handsets and their own Android customizations. Verizon's version of the Galaxy Nexus actually shipped with 4.0.2 already pre-loaded. 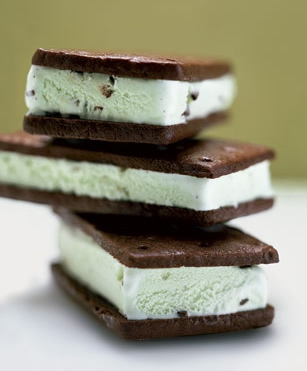 Ice Cream Sandwich itself brought many new and exciting features to the mobile platform. ICS improvements include a streamlined lock screen with facial recognition, ad-hoc-style wireless communication between devices and on-screen controls which eliminate the necessity for hardware-based navigation buttons. Google also aimed to improve the overall user experience by including to a new system-wide font labeled "Roboto" as well as redesigning and adding features to many of the platform's native apps.